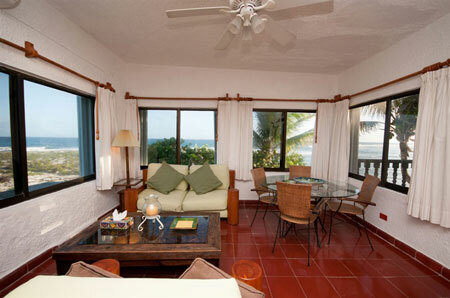 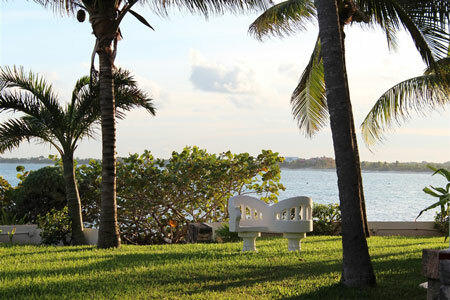 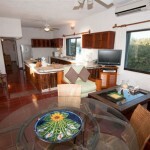 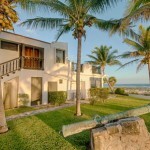 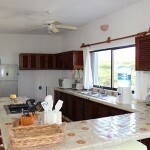 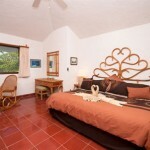 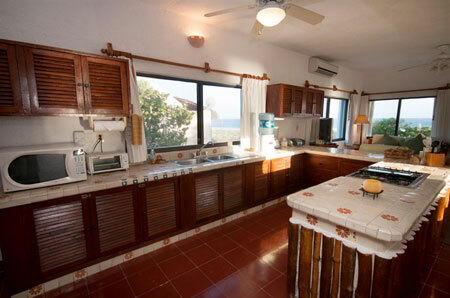 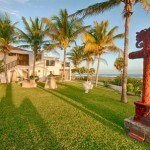 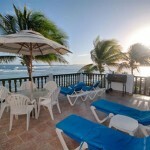 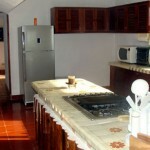 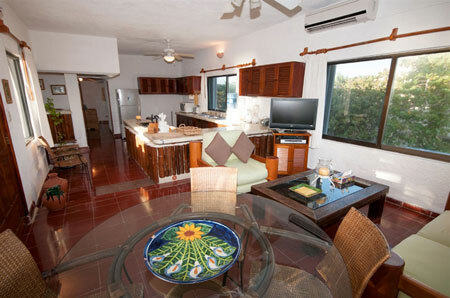 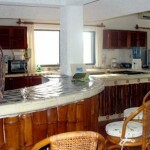 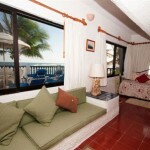 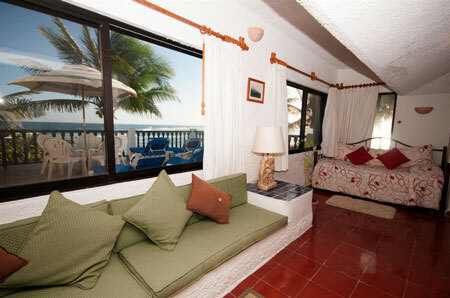 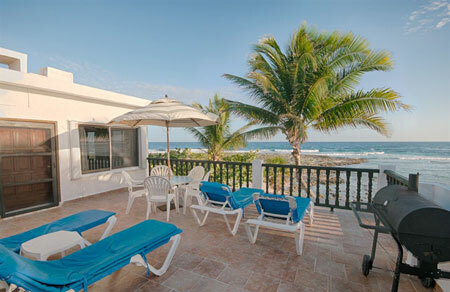 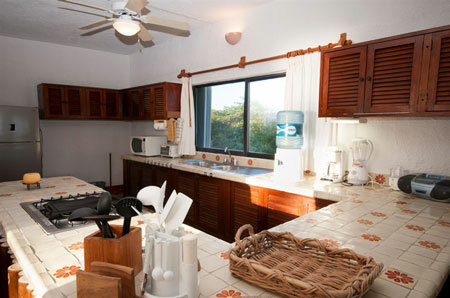 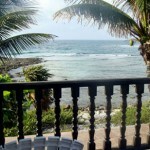 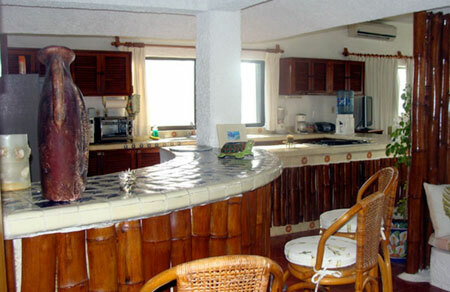 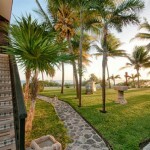 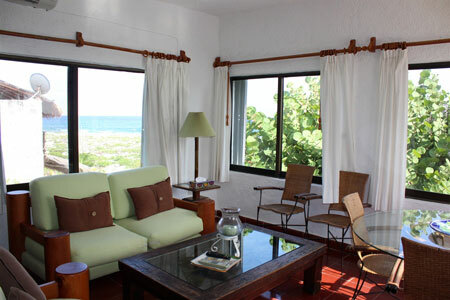 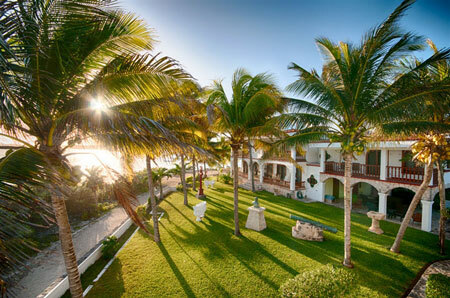 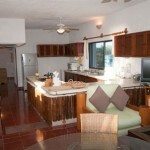 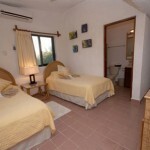 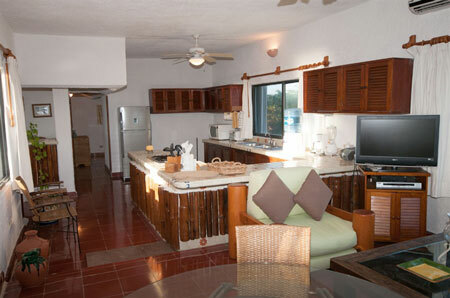 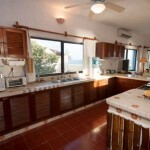 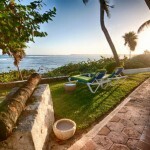 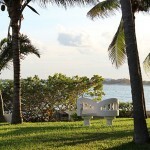 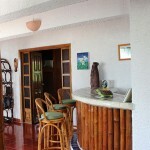 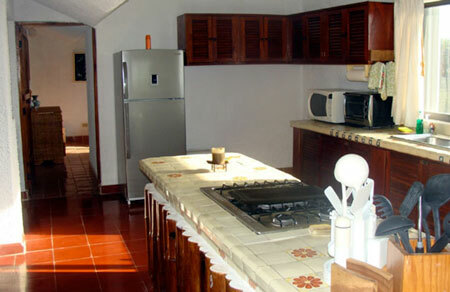 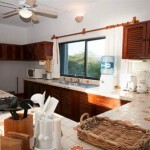 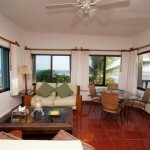 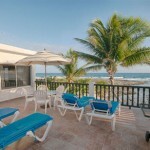 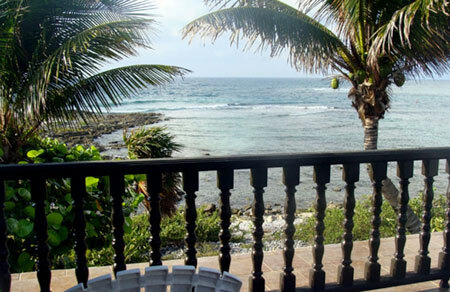 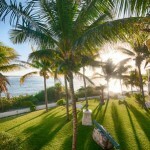 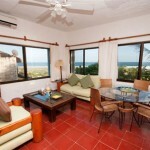 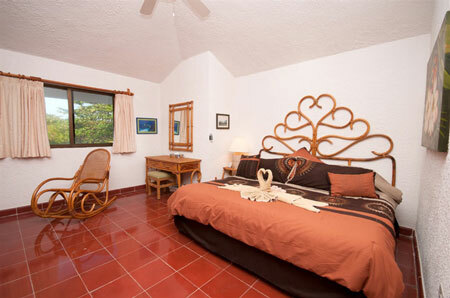 The Cannon House is one of very few accommodations actually on Akumal Bay. 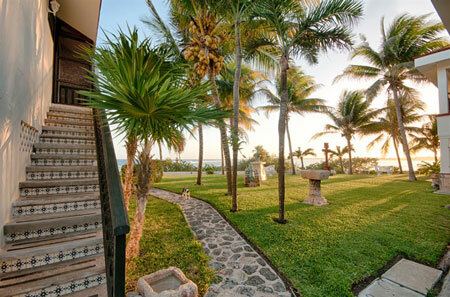 The sea front sidewalk leads directly down to Akumal beach. 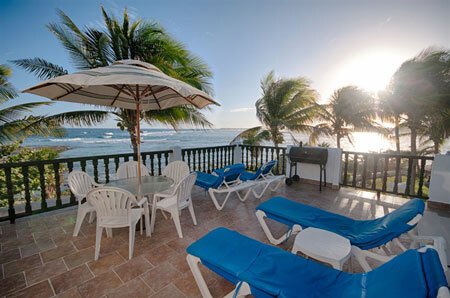 There you will find great swimming and snorkeling, “Lol-Ha” Restaurant and Beach Bar, along with all the other services available in central Akumal. 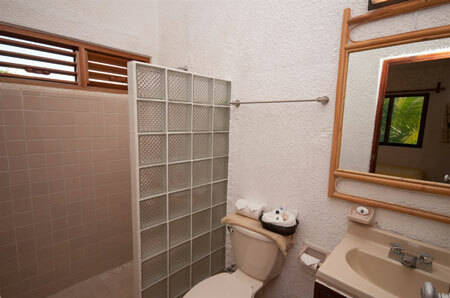 Cannon House is actually two separate accommodations: The Cannon House Studio and The Cannon House Suite. 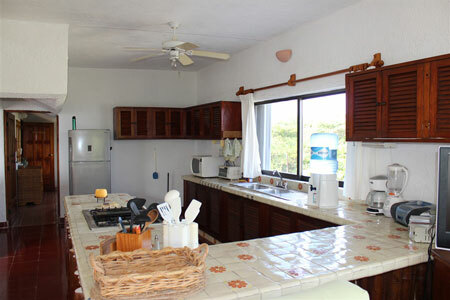 The Cannon House Studio is an open floor plan with a king size bed and living area on one side, and the kitchen with a breakfast peninsula on the other. 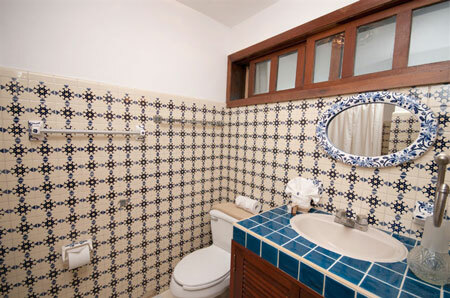 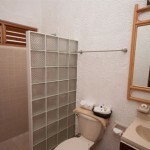 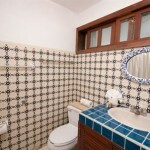 There is more than ample storage space and the full bathroom has a very spacious shower. 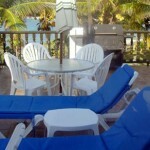 Just outside are a couple of lounge chairs and a table with chairs. 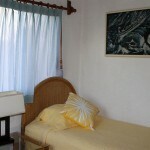 The studio is fully air-conditioned. 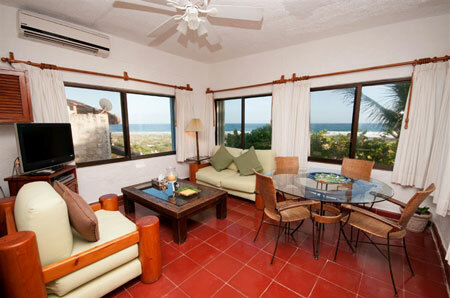 The Cannon House Suite has two bedrooms, two bathrooms, a living room, dining area, curved bar area, full kitchen and a large exterior ocean front terrace with grill. 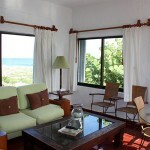 Great sea views from the main living spaces and terrace. 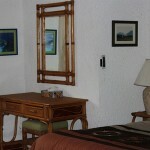 All interior spaces are air-conditioned. 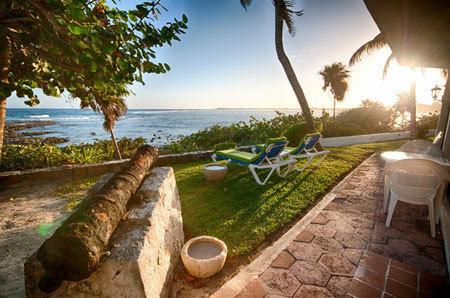 The Cannon House has historical significance. 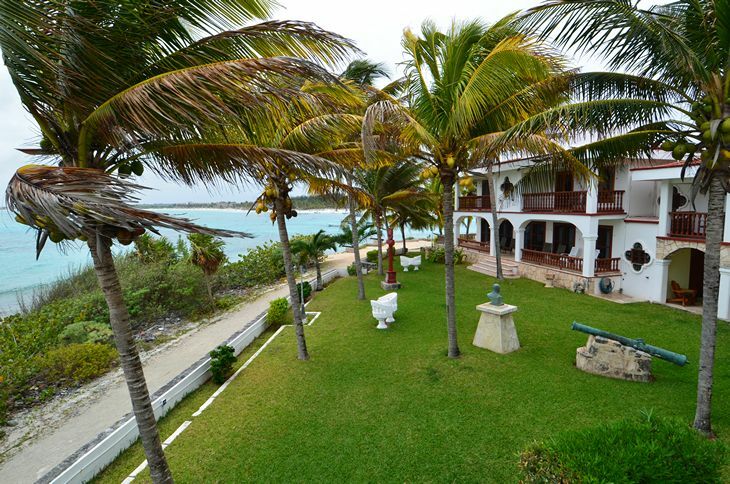 This is prime real estate with a fascinating story behind it. 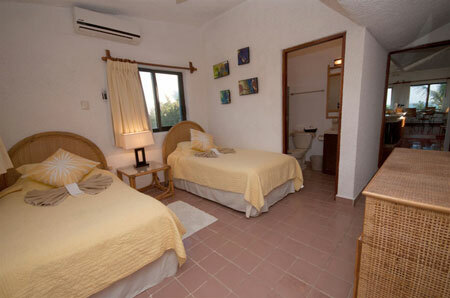 Akumal’s founder, and famous archaeological explorer, Don Pablo Bush Romero, originally built it. 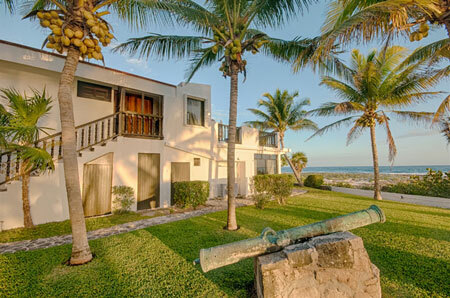 The cannons were among numerous items recovered from Spanish wrecks found by Don Pablo and his team during their search for shipwrecks along Quintana Roo’s Caribbean coastline. 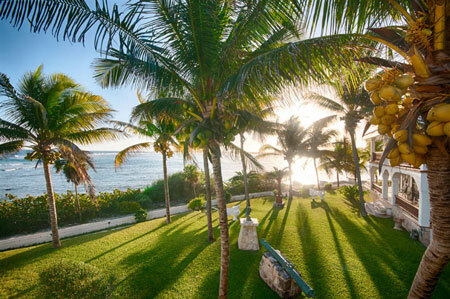 These excavations represent some of the first maritime archaeological projects ever accomplished in Mexico(circa 1950-60’s) and led to the creation of CEDAM; a society dedicated to Conservation, Exploration, Diving, Archaeology and Museums; also founded by Don Pablo. 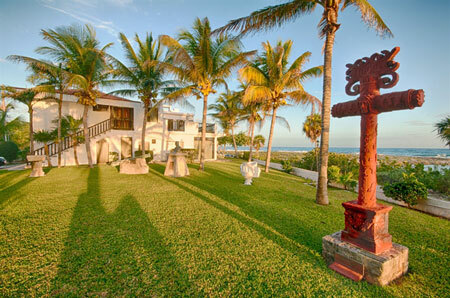 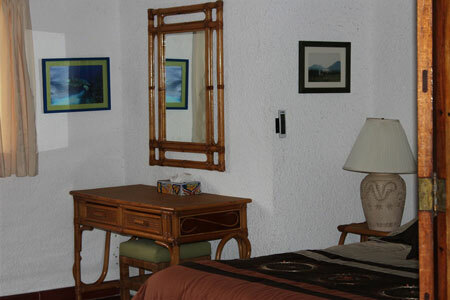 The society still exists to this day and hosts a CEDAM museum located in Puerto Aventuras, 15 minutes north of Akumal. 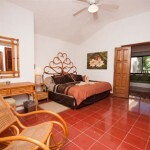 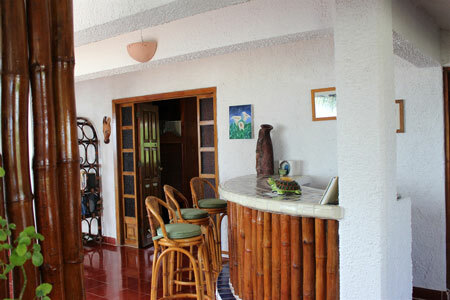 2nd floor Suite with two bedrooms & two bathrooms. 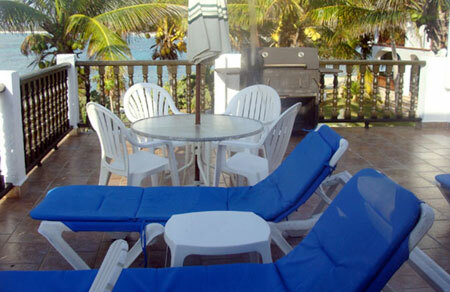 Barbecue grill available upon request. 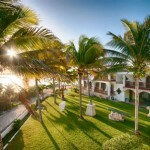 Above rates do not include the 19% Mexico tax.